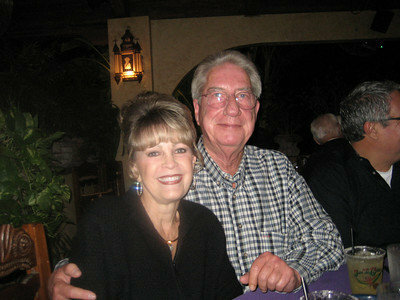 Jerry Mckinney Motor Company has been a part of the Dallas Ft. Worth Business landscape for over 40 years. Always dedicated to an established, profitable, and respected business, that would carry our name with honor in the years since 1966 and into the future. This business attitude is dedicated to providing jobs with equal opportunity for all deserving employees. Opportunity for advancement will be afforded to all loyal, honest, and industrious members of our group. Our philosophy of business is one of fair dealing, both in selling our products and in our purchasing transactions with all venders. Price is not the sole denominator. Scrupulous business ethics must be maintained, because our personal reputation rest on those actions. Our philosophy is best described as "The Creed of Jerry Mckinney Motor Company." We want to maintain a positive , harmonious workplace, where teamwork and cooperation prevail. We all benefit when we take pride in our job performance and that of our co-workers. We do not work on quotas, but quality of performance. Improvement is not a one time effort. Training, learning and improving, is a continuous process. All of us are obligated to continually look for ways to better manage time and improve quality, so as to provide a better buying experence for our vast group of Dealers, our family of clients, and their referrals both locally and on the internet. A positive attitude, discipline, willingness to learn and improve, and a spirit of cooperation are the keys to sucess. Negativism, conflict, and mistakes are unacceptable. Our goal is the earned reputation for having the best people doing the best job. The greatest assets that Jerry Mckinney has, are the employees we work with and the customers we serve.